On occasion of 72nd Independence Day of India, Online shopping giant -Flipkart has launched new membership program to replace ‘Flipkart First Membership Offer’ and to take on Amazon’s Prime Membership. ‘Flipkart Plus’ membership is virtually free loyalty program offered by Flipkart with some amazing flipkart offers from Bookmyshow, Hotstar, Chai Point, Ixigo, Cafe Coffee Day, etc. ‘Flipkart Plus’ is one of the new concept to us which also looks more rewarding considering values that flipkart going to provide in terms of free delivery and customer support. Lets take a note of following unique features of Flipkart Plus Membership. Free delivery on more than 3 crore products. 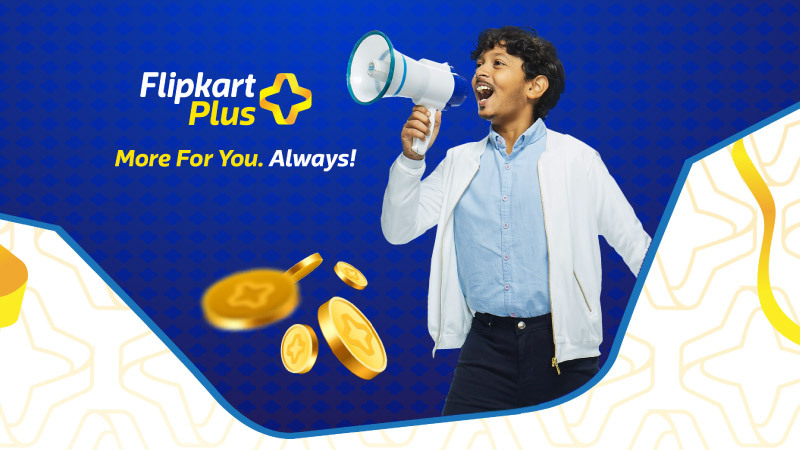 You need at-least 50 Flipkart Pluscoins to become Flipkart Plus member which can be earned by placing order on flipkart.com. Accumulated flipkart coins can be used to avail exclusive benefits from merchants like Book My Show, Hotstar Premium, Make My Trip, Zomato, Ixigo. You will earn 1 PlusCoin on minimum order of Rs.250 and maximum 10 Pluscoins can be claimed per order. To renew you’re membership 50 coins in your flipkart account is required each year. If you don’t have any Flipkart free coins then you can claims yours by clicking below link.